So, last Wednesday (a week ago today), I popped along to Four Corners on London’s Lower Marsh, ostensibly to celebrate its first birthday, which, naturally enough, was the day before. Let’s face it, celebrating first birthdays is commonplace, but who celebrates first and one day birthdays, eh? No-one, that’s who, and it’s about time that changed! Being serious for a moment, while it was in my mind that Four Corners was one and one day old, the real reason for my visit was to catch up with my friend and fellow coffee-blogger, Kate (aka A Southern Belle in London) before she disappeared to the Americas for the summer. Four Corners was a convenient place to meet and I was keen to see what had changed since my first visit there last summer. As it turned out, the answer was not a lot, Four Corners being much as I remember it from August last year. So much for this being an update! In fact, the major change I noticed was the absence of the roadworks directly out front, which plagued For Corners for the first few months of its life. Other than that, it was the same wonderful place! You know it’s summer when the Look Mum No Hands! pop-up appears under Hungerford Bridge on London’s South Bank. So, on the second sunny Sunday in June, I took the train up to Waterloo, headed north to the river and then, eschewing my normal route, popped down under the bridge where Look Mum No Hands! is in its second year of operation. Last year’s set-up was fairly impressive, but this year it’s been expanded, with a larger, more permanent seating area and a bigger caravan. This houses the espresso machine (which was in a separate trailer last time) and an array of craft beers, as well as soft drinks. There’s also cake, crisps, bananas and, new this year, the option of a ploughman’s platter. Although I’ve termed Look Mum No Hands! a pop-up, that does it something of an injustice. With the expanded seating area and the fact it’s under the bridge, it has a pretty permanent feel to it. On all but the coldest days, treating it as a sit-down café is a viable (and, on a sunny day, a lovely) option. One downside is that the coffee is only served in takeaway cups, but you can’t have everything! London’s Lower Marsh is not the most appealing part of the capital. Even the name doesn’t conjure up particularly positive images. Lying behind Waterloo and not particularly on the way to anywhere, I’ve only recently become aware of it, despite Waterloo being my gateway to London for the past 15+ years. 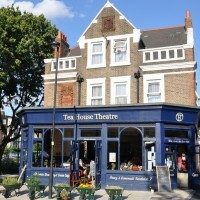 However, there it is and, in recent years, it has started to shed its poor image, becoming home to the likes of the Scooter Cafe [coming soon to the Coffee Spot, although I’ve been saying that for a year now!] and now, just across the road, to Four Corners Cafe. 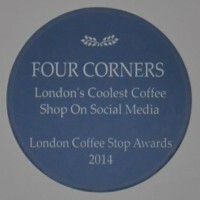 BREAKING NEWS (April 2014): Four Corners won “Best Use of Social Media” the inaugural London Coffee Stops Awards! In another new venture for the Saturday Supplement, I present the first ever Saturday Short. Saturday Shorts are Coffee Spots in their own right, but for which I can’t justify a full write-up. 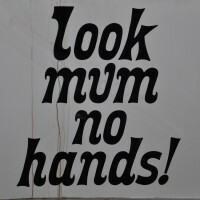 This first Saturday Short comes courtesy of Look Mum No Hands!, something of a legend on the London coffee scene, if only for its interesting name (it’s up there with Bristol’s Didn’t You Do Well in those stakes). I’ve long wanted to try it out, but have never had the time/reason/excuse. Originally, this was going to be a post about the Real Food Market at the South Bank Centre, London. 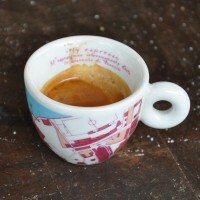 It was going to feature, among others, the Bean About Town coffee cart, but then I got to talking with Claire, the wonderful French lady who runs the cart, and slowly the focus changed… When she produced an exquisite single espresso, poured into a proper, china cup, I was sold. Standing by a Citroën H van in all weathers might not be everybody’s idea of the perfect coffee spot. It certainly doesn’t tick the laptop friendly box. But when it comes to sheer coffee passion, then you’re going to have to go a long way to beat Claire and her Bean About Town coffee cart. And she makes damn good coffee too. Being outside and exposed to the elements might provide some with reason to compromise, but not Claire. 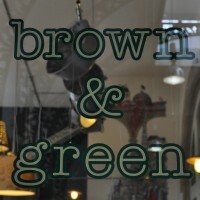 If you are around the South Bank on a Friday, Saturday or Sunday, then pay her a visit and you won’t be disappointed. June 2017: Bean About Town’s owner sold up at the end of 2016, but the Citroën H van and Claire are still going strong, operating as For the Good of the People Coffee.